The woman reached the biggest settlement on the latest tax defaulters list. THE FORMER OWNER of a Mullingar clothes boutique has made a tax settlement of more than €3 million – the largest amount on the latest defaulters list. Nora Filtness from Millcastle, Castlepollard in County Westmeath was handed an unpaid tax bill of more than €1 million after an audit revealed she had under-declared income tax and VAT. With interest and penalties – both worth in excess of €1 million – her total settlement came to nearly €3.2 million. Revenue said the ex-boutique proprietor, who traded under the Clara Ellen name, was yet to pay any of the sum as of the end of June. Filtness’s case was one of 58 settlements worth a combined €11 million published in the latest defaulters list, which covered from April to the end of June this year. The major settlements included €633,827 for Cork painting contractor Galvin Edward, of Shannonlee, Model Farm Road, who had already repaid the debt in full. His settlement came after a Revenue investigation into offshore assets. The tax office last year recovered just under €8 million from offshore accounts as part of a crackdown on those evading tax via foreign jurisdictions. Meanwhile, Roscommon builder Martin Downes, of Kiltycreighton, Boyle, was yet to pay the €520,917 bill he was handed for non-declaration or under-declaration of various taxes and charges. Limerick’s KC Tyre Centre Ltd, now in voluntary liquidation, agreed a settlement of €515,089, around three-fifths of which was unpaid at the end of June. In total, 27 of the cases were for amounts worth more than €100,000, and around half the €11 million bill remained outstanding at the end of the period. Revenue said it “vigorously pursues” any unpaid amounts, however it wasn’t always possible to recover the full sums due to, for example, company liquidations. Sports World Netting, from Scariff, Clare, which reached a €121,543 settlement for under-declaring payroll and corporation taxes. Email “A Mullingar boutique owner has been handed a €3m bill for unpaid taxes”. 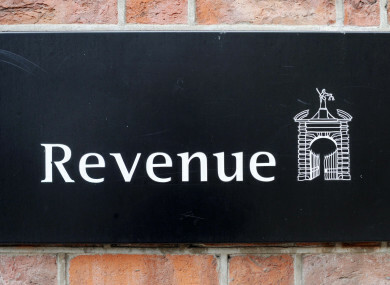 Feedback on “A Mullingar boutique owner has been handed a €3m bill for unpaid taxes”.